Omg. This photo is so beautiful. I mean in essence, it is a leaf face down (sunny side up?!) 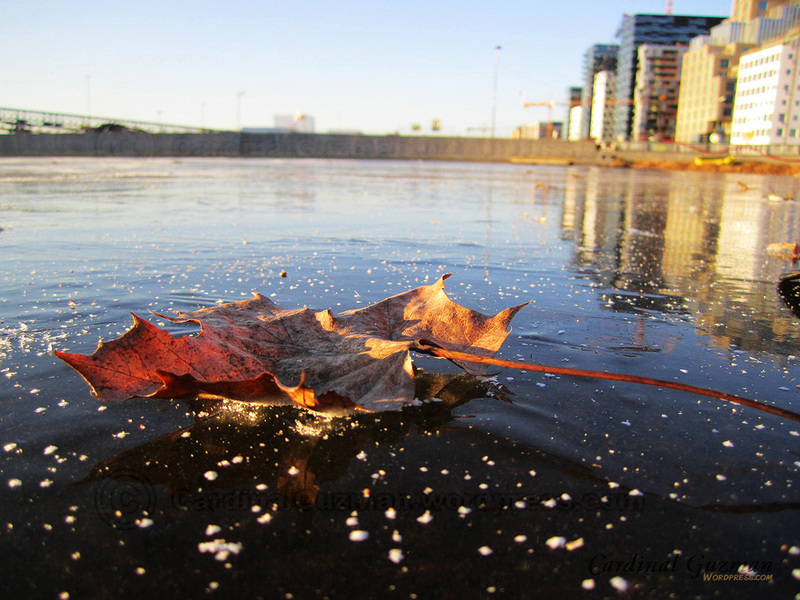 on the frozen ice…speckled with what? idk…ice shards? But gosh darn it, so beautiful. Thank you. Really kinda jettisoned me to year 9 and back! Thanks for a great comment Zestyjazz! It’s a simple leaf, but it still makes an impression.